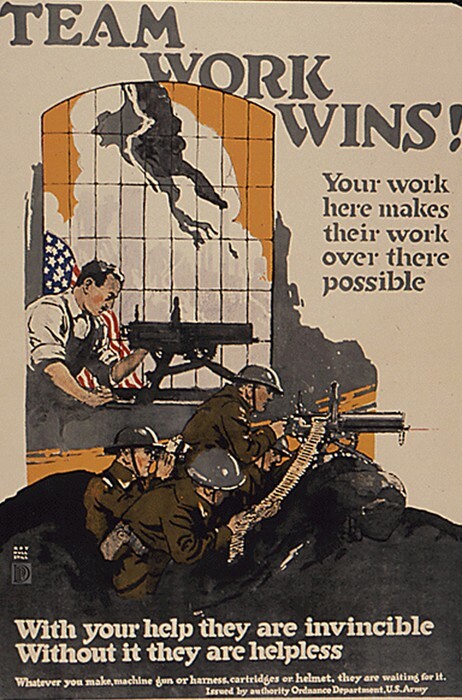 This is an example of advertising businesses and the government working together to produce war supplies. 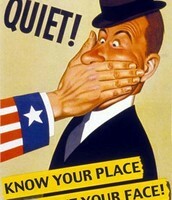 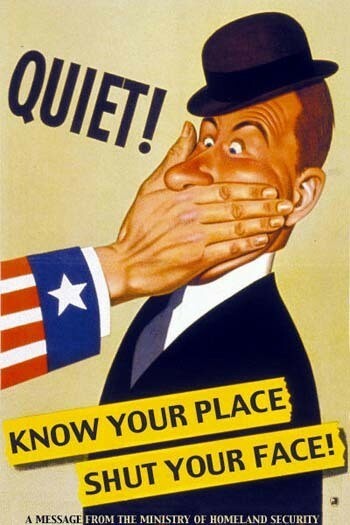 It discouraged citizens in America to speak out against the war while it was raging on. 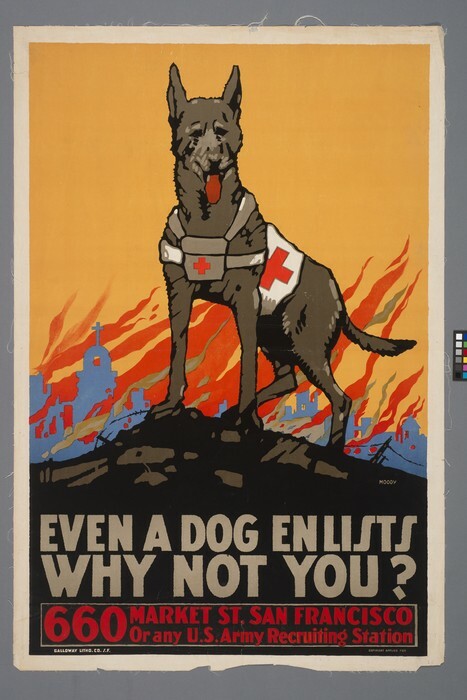 Beginning in WWI, animals such as dogs were used in helping their fellow human soldiers in non-combat related areas during combat. 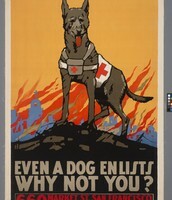 This encourages Americans to join when they see how helpful they could be if a dog could play such an active role in war. 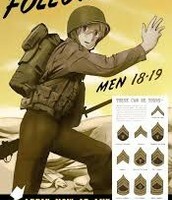 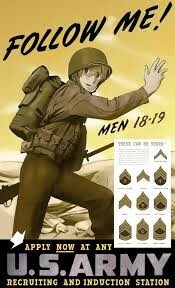 Men between the ages of 18 and 19 years were most likely to become recruits, and this propaganda poster is telling men of these ages to join the battle. 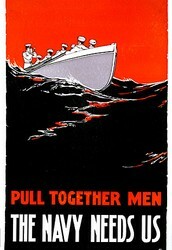 However, this poster excludes women. 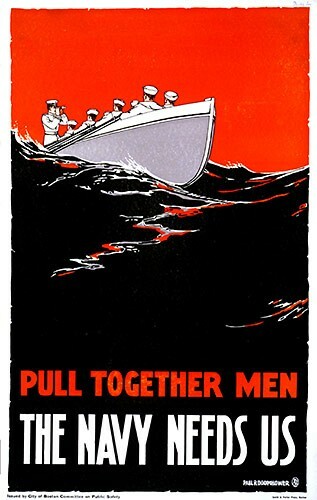 Since the U.S. had one of the most powerful naval fleets at this time, this poster seeks out new members of this already powerful force of the seas. 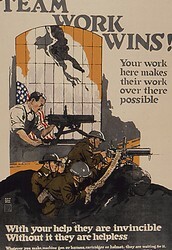 An increase in power would have helped in the actual fighting and in protecting the U.S. from any possible attacks.